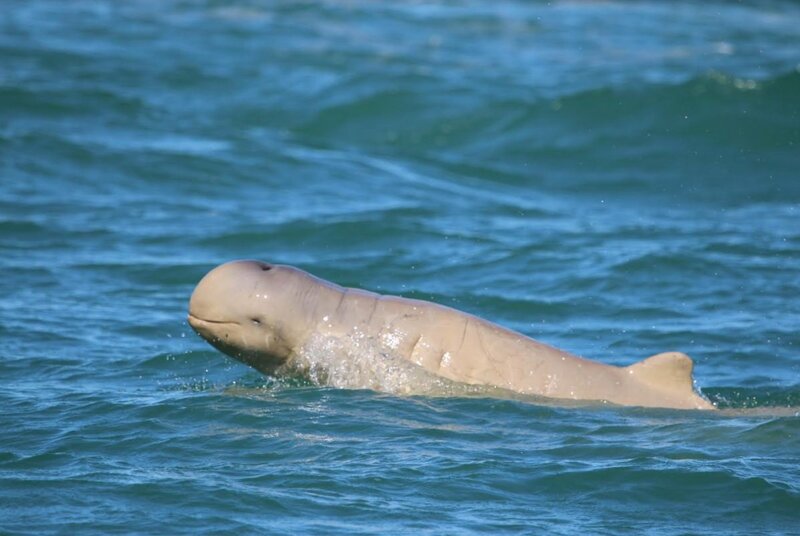 WWF-Australia is calling on the next Queensland government to establish an 85,000 sq km net free North Queensland and other net free zones following the deaths in gillnets of two rare Australian snubfin dolphins and suspected deaths in gillnets of four dugongs. The Great Barrier Reef Marine Park Authority has only just revealed that on October 21 a fisher caught and drowned two snubfin dolphins in a commercial gillnet and reported the incident. WWF-Australia believes this occurred near Bowen. GBRMPA has also just revealed that in September and October, the deaths of four dugong were confirmed in Bowling Green Bay near Townsville. A fisher caught and drowned a dugong in a commercial gillnet and reported the incident. A second dead dugong was found floating near commercial gillnetting operations about a week later. Two further dugong carcasses were found in Bowling Green Bay with the cause of death unable to be determined due to decomposition. Snubfins and dugongs – both listed as vulnerable – take a long time to reach breeding age and females do not produce offspring every year, therefore the loss of just one individual can be devastating to their local population. “Gillnets are invisible walls of death which can indiscriminately kill whatever swims into them,” WWF-Australia CEO Dermot O’Gorman said. “These gentle creatures suffered horrific deaths, held underwater until they drowned. “WWF recognises that none of these incidents were intentional and that two fishers correctly reported the entanglement and drowning of these threatened species. “However, WWF has long suspected that the gillnet deaths of many turtles, dolphins and dugongs are not reported for fear of bad publicity. “Queensland cannot afford to lose one more snubfin or dugong to commercial gillnets. “In 2015, three net free zones were introduced in Cairns, Mackay and Rockhampton and they have been a great success. “WWF-Australia is calling for the major parties to commit to more net-free zones to protect these vulnerable creatures starting with the creation of an 85,000-square kilometre Net Free Far North Queensland,” Mr O’Gorman said.